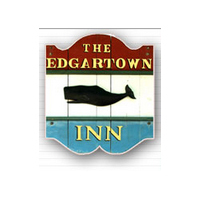 The Edgartown Inn on Martha’s Vineyard is centrally located in the heart of Edgartown, convenient to shops, restaurants, churches, the Edgartown Yacht Club and harbor. Minutes away by foot is the white sand beach by the old Edgartown lighthouse, and for real surf bathing, South Beach is only slightly farther by bike or car. Your Martha’s Vineyard vacation can also include golf on several courses, tennis, sailing, fishing, summer theater or simply relaxing on the famous front porch of the Edgartown Inn which looks up and down North Water Street, lined by its charming picket fences and marvelous old sea captain’s houses. The Edgartown Inn is ideally situated and suited to be your home on the island. It has been serving discriminating guests for a great many years and is listed in many guides including the Mobile Guide. The Edgartown Inn is small (only twelve rooms in the Inn itself) so please reserve your room early.